Make your own healthy adult lunchable with veggies, salami, and cream cheese. 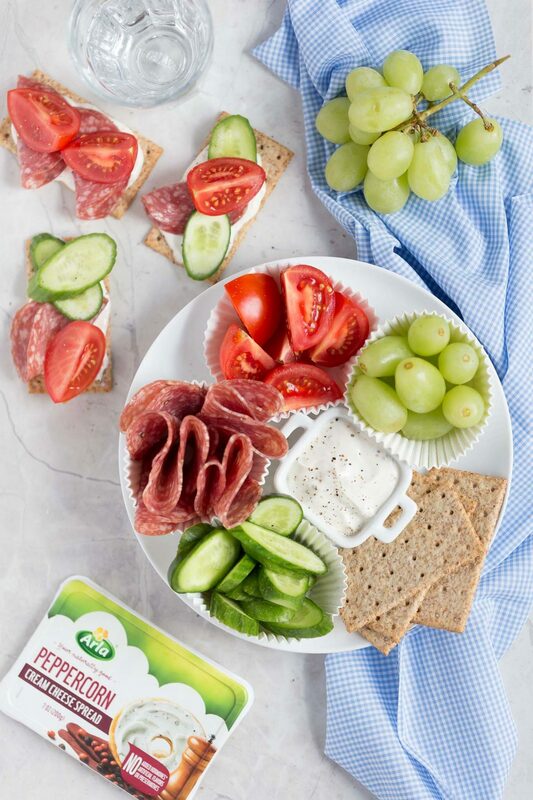 Add whole grain crackers and swap deli meats for endless school lunch ideas! This post is sponsored by Arla. Do you think we ever lose that late summer start-of-a-new-school-year feeling? I tend to think no. Because it’s been about a decade since I’ve gone back to school and yet every August I find myself pushing a cart around Staples as if I need a binder. The other day I bought brown paper bags–the kind you’d pack a lunch in–and Daniel asked me if I was planning to pack lunches for the trip from the kitchen to the living room. When I was in school I remember the surest way to achieve status in the cafeteria was by pulling Lunchables and Boku juice out of your insulated cooler bag. My mom would spring for the Boku but she wouldn’t budge on the Lunchables. She’s nowhere near a food snob, but she has some definite opinions on good-tasting/good-quality food, and Oscar Mayer ham and cheese cubes didn’t cut it. I have to say, my mom was right about Lunchables. They aren’t very good. Still, I love the concept, so I decided to upgrade it and make an adult lunchable with higher quality and more wholesome ingredients. Use better quality deli meat and cheese and add fresh fruits and vegetables. To do that, I used organic sliced salami, which has more flavor than say, ham or turkey. Instead of a cheese cube or slice, I used Arla Peppercorn cream cheese. It works so well as a dip for veggies and a spread on crackers. You don’t even have to be black pepper-obsessed, like me, to love Arla Peppercorn cream cheese. It’s as creamy and smooth as Arla Original cream cheese, but with a subtle kick. I like to spread it on the crackers in my lunchable then top them with salami, cucumber, and tomato. Either that, or I’ll go the easier route and just dip the veggies and crackers right into the cream cheese. Arla cream cheese is my cream cheese of choice because it only has four ingredients: milk, cream, cheese culture, and salt. It is free of of preservatives, thickeners, stabilizers, and artificial flavors. And guess what? 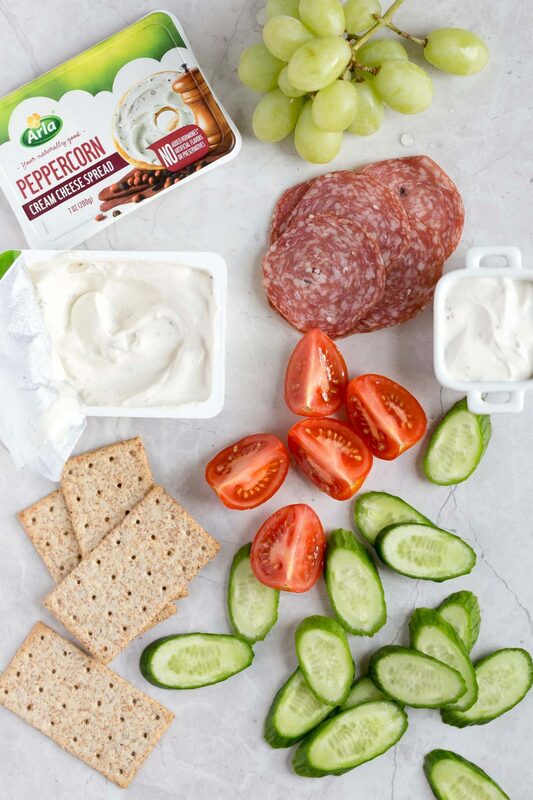 Arla Peppercorn cream cheese only has six ingredients, the same core four that the Original has, with the addition of pink peppercorn and black pepper. It’s simple and delicious, why add anything else? Other big cream cheese brands can have at least double the ingredients (here’s an example: pasteurized milk and cream, whey protein concentrate, whey, salt, carob bean gum, xanthan gum, guar gum, sorbic acid, vitamin A palmitate, cheese culture) and the flavor of those cream cheeses isn’t nearly as smooth. This is a lunchable I’d be happy to serve to kids for a school lunch, too. The components are simple: protein/fat + whole grain carb + veggie + dip/spread + fruit. You can mix and match meats, veggies, fruits, and Arla cream cheese flavors. Pack all ingredients in small containers or a segmented lunch box. Enjoy! 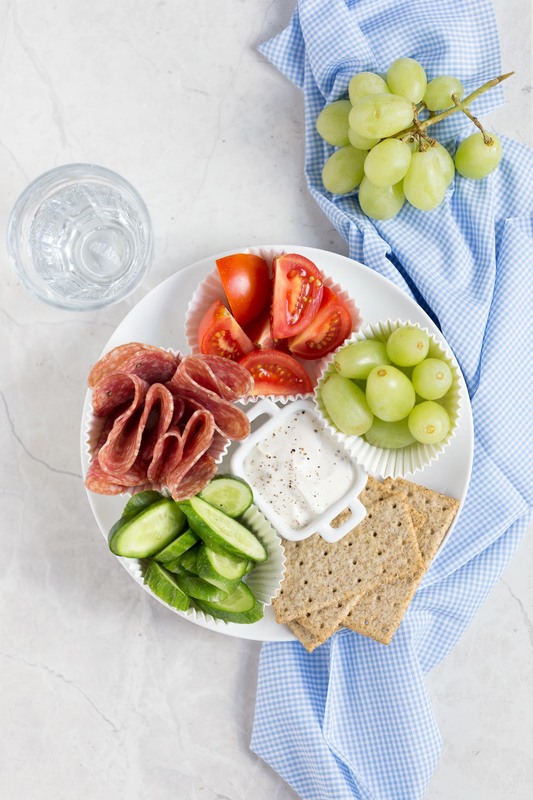 This isn’t related to lunchables — though I’m definitely replicating these grown-up versions — but how has your mother’s healthier eating journey gone? 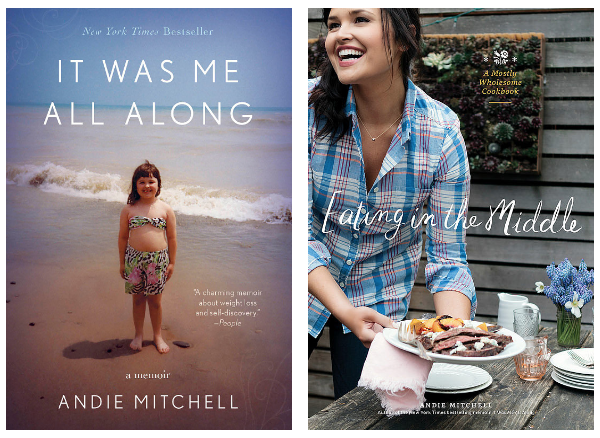 I so enjoyed that whole series and hope she’s found the right balance for her. Any updates? Thanks for asking, Jillian! She’s good, but balance has been tough. I want to have her do an update! We’ve been considering doing another kind of blog series again! Hillshire farms actually makes something that I equate to adult lunchables, and they’re quite tasty. I don’t eat them often, but if we’re planning to travel I’ll usually pick up a couple as a road snack. Ooo I had no idea! I’ll check them out! Where do I find Arla cream cheeses? I love the concept of no preservatives. Sweet! This is a brilliant idea to keep in my fridge to plan better for lunches! definitely thinking i need to run out & pick up some salami after reading this.. yum! so simple too, which is a huge factor, with how busy we all are.